Her Excellency Rebecca Kadaga is currently the Speaker of Parliament of Uganda. She occupies the third position in the hierarchy of National Leadership in Uganda, after the President and the Vice President. 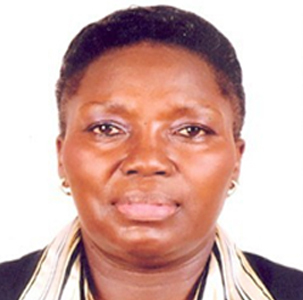 Born in 1956 Ms. Kadaga is an advocate of the supreme court of Uganda. She holds a master’s degree in Law from the University of Zimbabwe. She went on to become the first woman to establish a law firm in the country. Ms. Kadaga has served as a legislator for an uninterrupted period of 27 years as the Woman Member of Parliament for Kamuli district, having been first elected in 1989 as a National Resistance Council member. She has progressed through multiple roles, which include the Minister of State of Regional Cooperation, Minister of State in charge of Transport, Cabinet Minister in charge of Parliamentary Affairs and Deputy Speaker of Parliament. Currently, Ms. Kadaga is the Inter-Parliamentary Union President, African Region, and has been the Chairperson of the Commonwealth Women Parliamentarians. She has also served as the Executive Committee Member of the Inter Parliamentary Union representing the African region. Ms. Kadaga is an active campaigner for women empowerment and emancipation in politics. She has received several honours for her work, which include the Golden Jubilee Award by the President of Uganda, and the Grand Officer of the Republic of Benin from the President of Benin.